Check out what using a 40-core (160 thread) #TalosII with optional #AMD WX7100 GPU looks like! 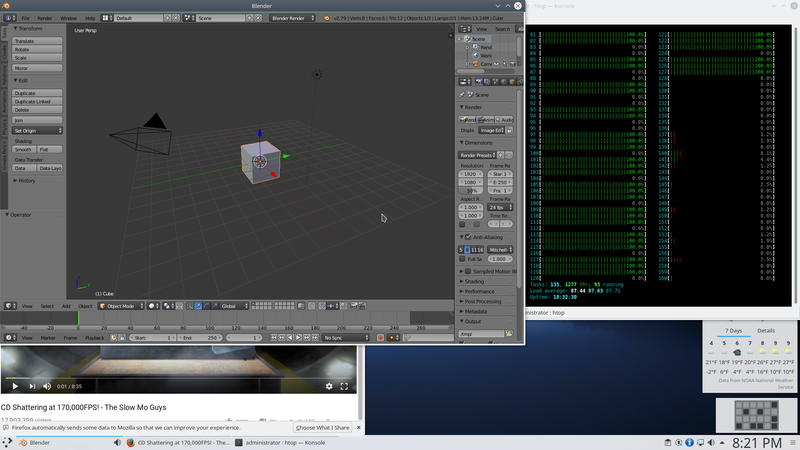 Screenshot of actual system showing Firefox, Blender, and htop under #KDE Plasma 5 on #Debian .
? (｡◕‿‿◕｡), jjg and Rain ? and 7 others like this.